Many venues are booked at least 3 months in advance, and the more popular a venue, the further in advance you should contact them. This is especially true if you're looking to play on a Friday or Saturday night. So be sure to contact the booker at least 3-4 months in advance. Bookers are very busy people, so be patient. If you didn’t get a response right away, it doesn’t mean that they’re not interested in booking you. Chances are, they just haven't had time to evaluate your music yet. Follow-up politely to see if your e-mail/message has been received, but whatever you do, don’t try to rush them or sound annoyed that they haven’t gotten back to you. Be persistent, but always be polite. Whatever you do, don’t lie about your draw. You’re better off being honest with a booker about what your draw really is rather than stretching the truth and disappointing them. If you tell a booker that you can pack the place and only your mom shows up, chances are you won’t be booked at that venue again. But if you were honest about what your draw realistically is and you match or surpass it, then the booker will no doubt want to book you again. Show up on time: If soundcheck is at 6:00, try to show up early, and never show up late. Leave on time: Don’t make the staff stay longer than they normally would because you want to take your time having one last drink. Finish it up and get out of there on time. Start on time: Even if there is nobody in the crowd, start playing on time like the room is packed. Tip bar staff: Even on free drinks, and especially if it’s a slow night, be sure to tip the bar staff. The gesture will not go unnoticed. Thank staff: Every chance you get, thank the staff and especially while on stage, which is always appreciated. Be extra nice to the sound tech: They can be your hero or your worst enemy that night, depending if you treat them with respect or not. Sending a nice thank you note to the booker the day after the show is always a nice gesture. There is so much competition out there, be sure to let the booker know that you're thankful for the opportunity to play their venue. This will go a long way to building a long-term relationship with them that will help get you many more gigs in the future. 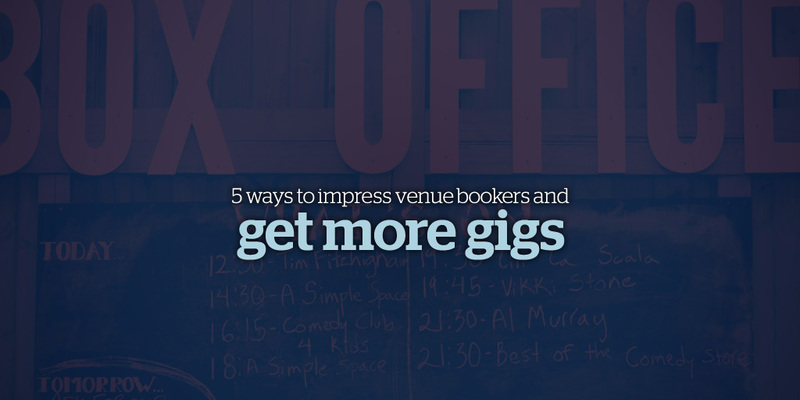 Start building your fanbase so you can book those gigs! Bandzoogle websites have a built-in mailing list and all the tools you need to step up. Sign up free now!" +How to Get From "Local Artist" to "Touring Musician"